February is all about Freckles at the artists’ gallery «The Proposal». 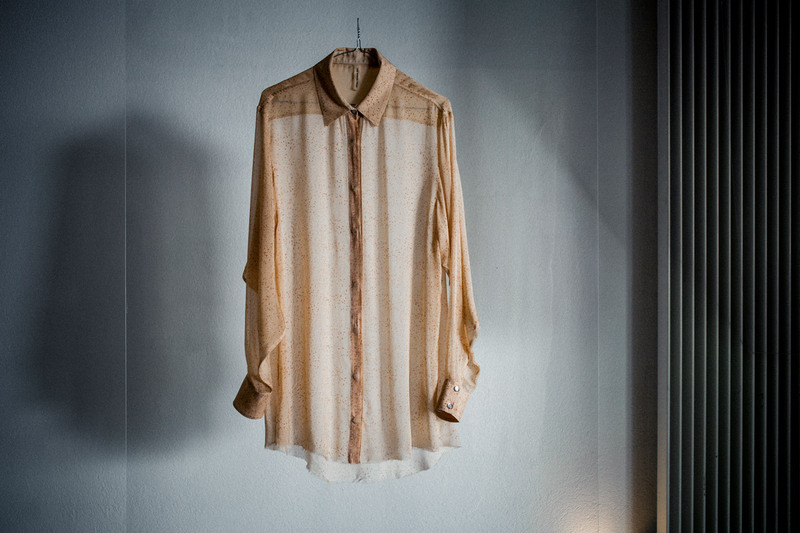 The third exhibition in the courtyard of Dubsstrasse demonstrates the relativity of beauty through printed textiles. Visitors can experience this special theme firsthand. Freckles: some find them disturbing or ugly and would like to get rid of them at any cost. Others however, see in them a special attribute and unconventional beauty. From February 16th to February 26th, 2012 at «The Proposal» presents an exhibition dedicated entirely to these odd, pigmented spots. 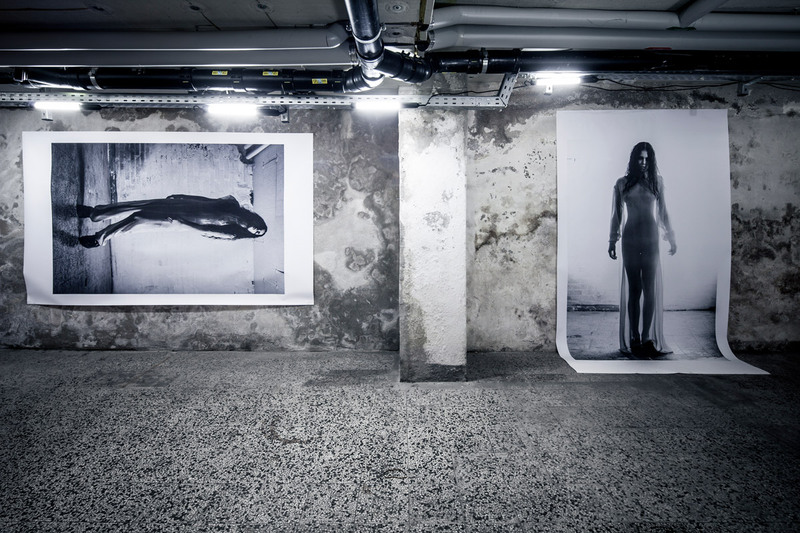 The third exhibition in the gallery space of «The Proposal» presents the work «Human Print» by fashion designer Stefanie Biggel and graphic designer Natalja Romine. The ambivalence between beauty and a flaw is the subject shown through the example of freckles. Using a digital Ink-Jet technique, a freckled motif is printed onto a silken fabric. Seven feminine and delicate dresses have been handmade and will be on display. The idea of pulling «new skin» over old skin is grotesque. However, it is relative to the unpretentious beauty of the clothes in the exhibit. 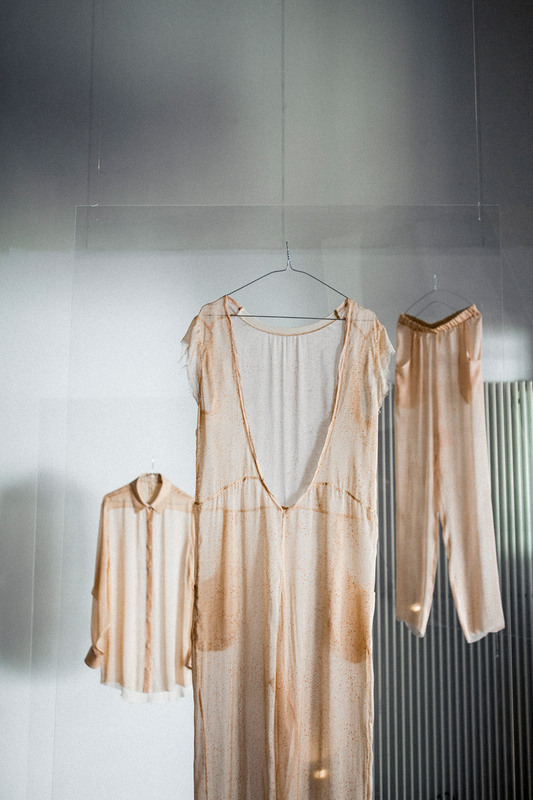 The clothes on display are prototypes for potential, commercial, fashion production. This idea perfectly matches the concept of the gallery which is to present prototype versions of possible artwork. «The Proposal», and the duo of Biggel and Romine, envision a database for the original. Freckles can be chosen from from a model and permit them to be printed onto a customized dress. This concept will only be presented during the exhibition shown at «The Proposal» in Zurich Wiedikon. The photographic realization and production was made by photographers Nadine Ottawa from Zurich and Rupert Tapper from London. The artists’ gallery, «The Proposal», presents prototypes of potential artworks. 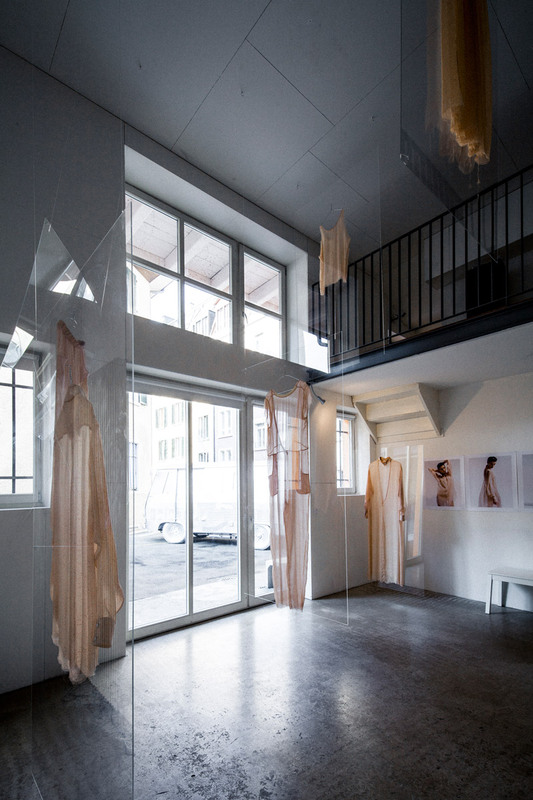 The exhibitions shown by different artists come from architecture, design or fashion. Six proposals are planned between November and May, 2012. «The Proposal» is structured as a non-profit association and is supported by members, private patrons and partners.